Jack and his mother were very poor. They had to sell their cow. Jack sold the cow for some beans. When he took the beans home his mother was so mad that she threw them out the window. The next morning there was a giant beanstalk that had grown up to the sky. Jack climbed up the beanstalk. He found a castle. The giant’s wife let Jack in and fed him some supper. When the giant came home she hid Jack. The giant ate his supper and then asked for his magic hen that laid golden eggs. When the giant fell asleep Jack ran home with the hen. Jack and his mother became rich with the golden eggs from the magic hen. Jack went back two more times. The first time he brought back a bag of gold coins. The second time when he went to take the magic harp, the harp started to sing and woke up the giant. The giant ran after Jack. 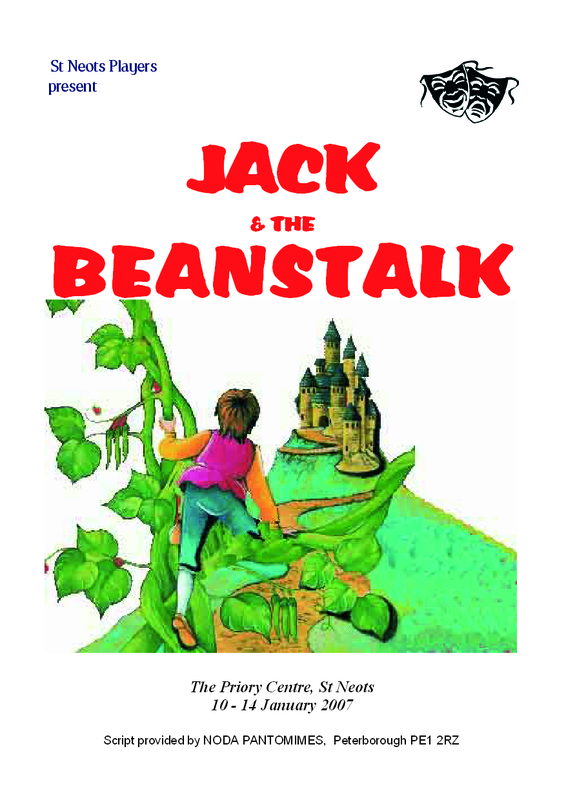 Jack climbed down the beanstalk and chopped it down before the giant could catch him. Jack and his mother lived happily ever after.